Bananas have been branded as boring by some. The lack of fruit choices, except for bananas, have been bemoaned too many times. In fairness to bananas, I'd like to dispute the fact that they are boring. They are the perfect comfort fruit. 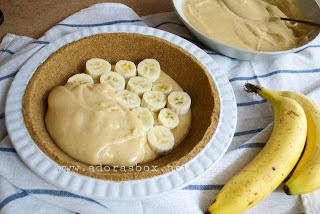 Its custardy taste, creamy texture and non-acidic flavour is the perfect baby food, grown up snack or faddy eater bribe. Bananas are a good standby fruit. They are friends with ice cream and peanut butter. If they go past their prime, then they can be made into pancakes or loafs. 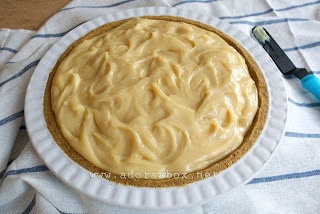 If by chance you find someone still unconvinced, surround it in rich custard and put it in a pie shell. Whip some cream and dollop on top to seal the deal. I am a bit OCD about bananas. I like them at a perfect stage of ripeness. I have to catch them at their peak, just as they emerge from being under ripe and before they go too soft and too sweet. This is when they are perfect for pie. 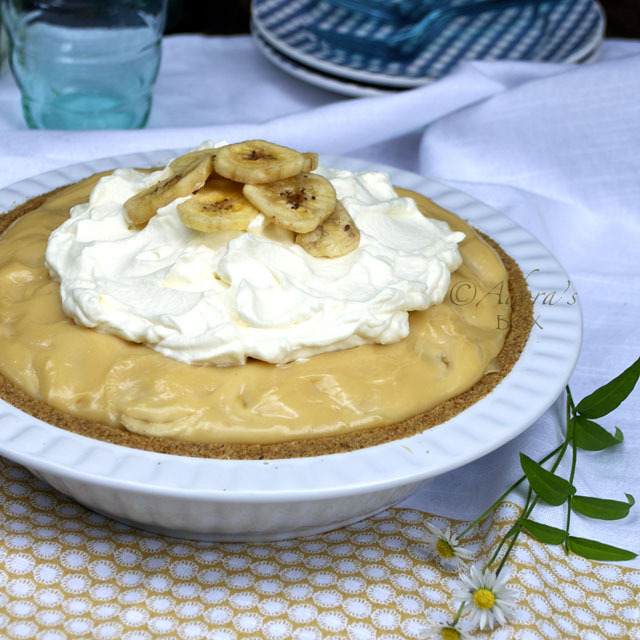 I like the traditional banana cream pie but I was thinking of a custard enriched with more egg yolks and condensed milk. 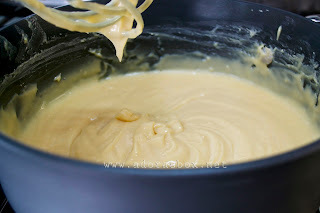 I love using condensed milk because it gives a gooey texture and caramel like flavour to desserts. 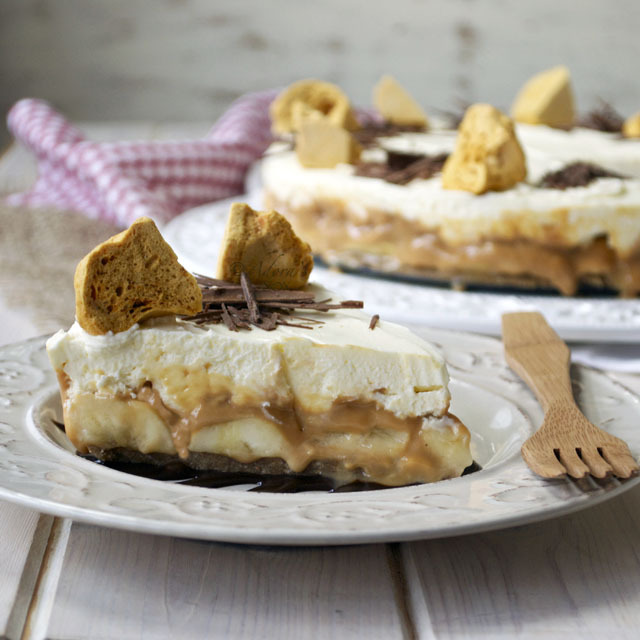 This dessert sets just so that when sliced it remains gooey. 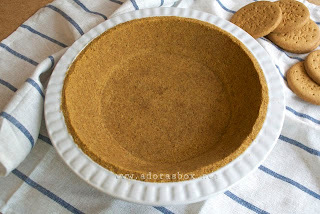 Put the flour and salt together in a heavy pan. Mix the condensed and evaporated milk in a bowl together with the egg yolks. Add this mixture a little bit at a time to the flour while whisking until a smooth lump free mixture is achieved. Put the pan on low heat and cook the mixture while stirring. Cook until very thick and leaves a lasting trail when drizzled on itself. Add the butter and vanilla and blend in. 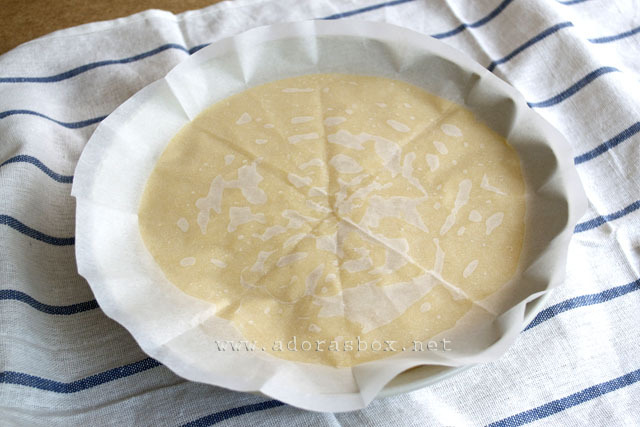 Transfer to a dish and cover with a piece of baking paper. Leave to cool until just warm. Spoon about 1/3 of the filling into the prepare crust. Arrange half of the bananas on top of the custard. 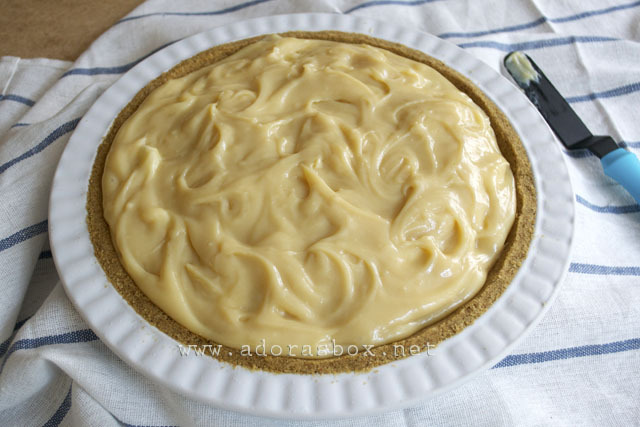 Repeat the layers ending with the custard. Swirl the top. Chill in the fridge. Top with the whipped cream just before serving. 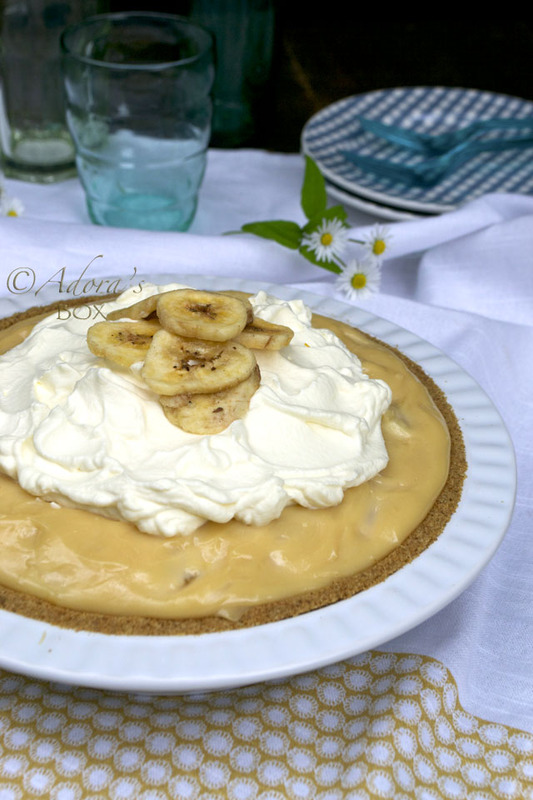 Banana could be boring but in actual fact they can do wonders in our desserts. 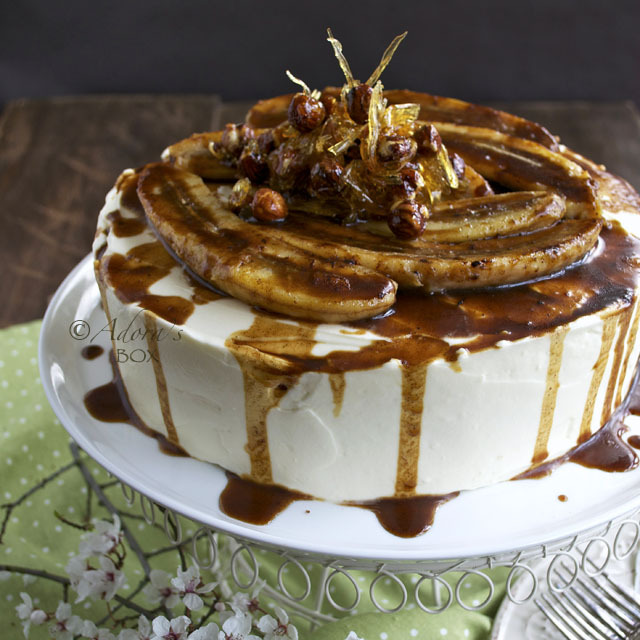 I loves bananas in cakes, in pancakes, in oatmeal, caramelised it, oh, there are many more I cant think of. 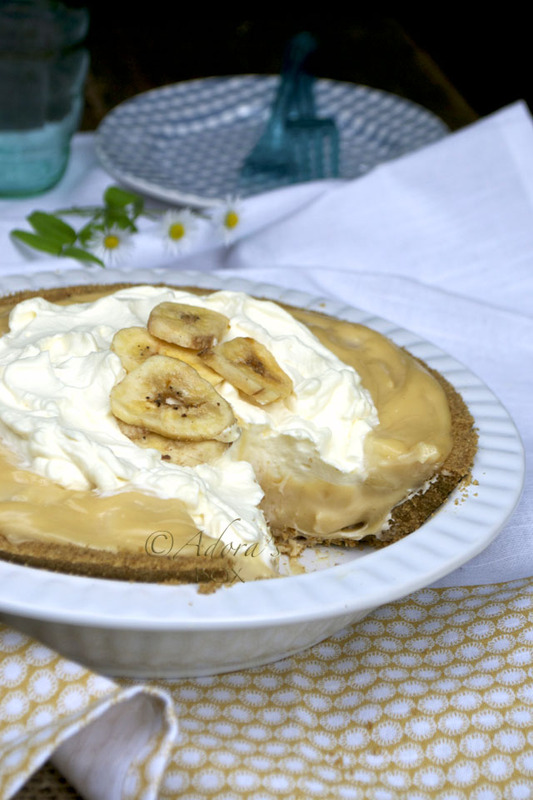 But I have yet to taste banana cream pie. It sure look very inviting to try this out. We go through 2 big bunches of bananas a week here! 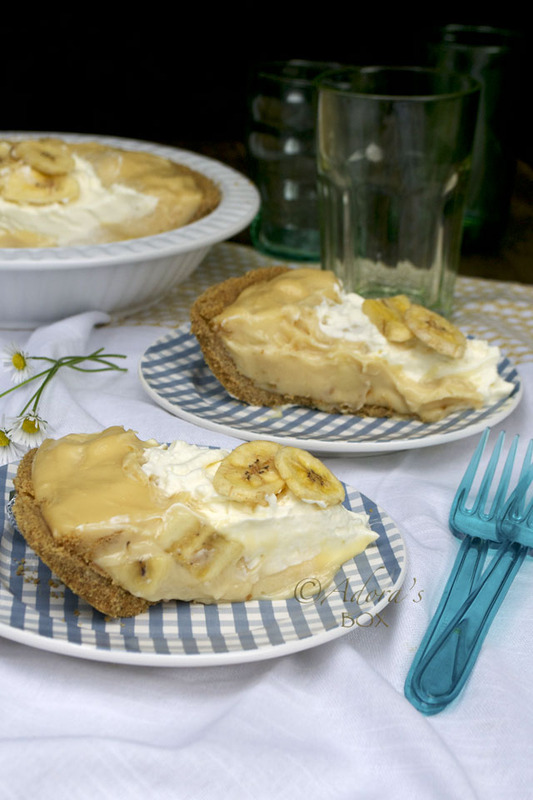 I'll have to set a few aside to make this pie! What a beautiful pit!!! 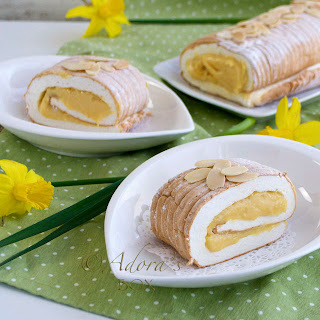 Could go for a big slice of this beauty!